We are highly recognized firm instrumental in providing finest grade MS Profile Cutting Services. We have gained profound expertise in fabricating precisely cut panels, enclosures, and equipments by rendering most competitive profile cutting services. 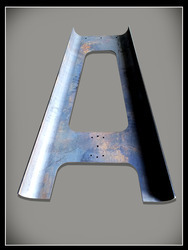 Our established team members are leveraging the latest laser cutting techniques to cut profiles of stainless steel and mild steel material in all kinds of sizes and shapes. Further, we are able to cut profiles in client specific dimensions with assurance of precision engineering and well timed execution. 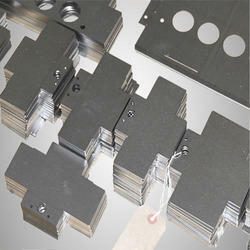 We are well known enterprise engaged in offering highly viable services for CNC Laser Cutting. A wide number of clients from automobile, textile machineries switch gears, electrical, elevators mfr. interior architecture and pharmaceutical machinery manufacturing sector trust our offered precision components. 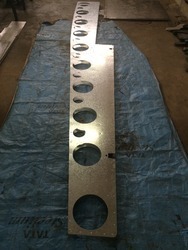 We are leveraging the cutting edge technology to cut varied material such as mild steel, sheet metal, copper, brass and aluminum in varied thickness specifications. Owing to the leading CNC based technology no jigs and fixtures are used in cutting, hence there is no tooling cost in our offered services. We offer brass and copper laser cutting services for prototyping, small volume production as well as production line integration. This helps in leading to overall cost saving and further helps in enhancing production efficiency as well as accuracy of finished products. 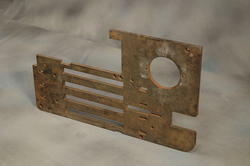 We provide service for copper and brass laser cutting, cnc bending and metal fabrication work in best economical rates. Joint venture for manufacturing metal fabrications for export are welcome. we offer economical rate for laser cutting, cnc bending and metal fabrication work in volume business tie up. Our organization is engaged in providing high quality Copper Laser Cutting Services Work to our esteemed clients. We have experienced professionals, who render this service using modern technology in adherence with the international quality standards. Our professionals interact with clients and understand their designs and requirements to perform the service. We offer our services with the help of CNC Laser Cutting Services technology that helps to cut and fabricate different kinds of industrial parts using sheet metal up to 12 mm thickness MS and 6 mm SS / 5 mm aluminum, copper, brass that gives smooth finish maximum size of 1500 mm X 3000 mm. 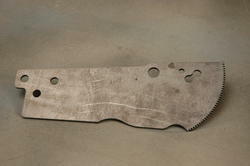 This cutting is ideal for prototyping with no tooling cost. 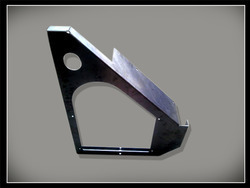 We are specially looking for laser cutting, cnc bending and Metal fabrication work in best economical rates. We are also serving for export queries. Minimizes the production cost per piece due to reduction in lead & set up time. Since no jig or fixtures are used, these are no tooling cost. Consistent accuracy as well as lack of operator error causes very less scrap. This technology is known for its high finish, excellent edge quality, accuracy as well as repeatability. Does not require any kind of post processing on jobs. Low distortion is caused on work piece. Reduction in material waste material saving by using nesting software. high accuracy with zero tooling cost with prompt services in low/high (Bulk) Quantities Supply. We Offer ECONOMICAL Rate In Volume Business Tie Up. Precision sheet metal components, Deep Drawing Parts and Precession Sheet Metal fabrications in all material With CNC Laser Cutting and CNC Bending Machineries. We Catering Many companies in the field of Automobile, Textile machineries, Switch Gears, Electrical, Elevators Mfr. Interior Architecture, Pharmaceutical Machineries, Kitchen Equipments, Machinery Mfrs. and for All Engineering Industrial Needs company. Our Components exports to countries like USA, UK, Germany, Israel, Portugal. Deep Drawing Presses, Stamping Presses Etc. 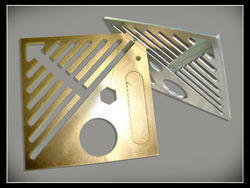 We offer brass laser cutting services for prototyping, small volume production as well as production line integration. This helps in leading to overall cost saving and further helps in enhancing production efficiency as well as accuracy of finished products. Steel Laser Cutting Service offeredby us comes backed by well defined quality control program, support of latest technology based process control machines and services of experienced industry professionals that assure of our delivering lasting service support as demanded by the customers. Further, we also hold expertise in meeting the specific demands of steel structure fabrication, surface treatment, sheet metal profiling and others so as to deliver end solutions as demanded from us. 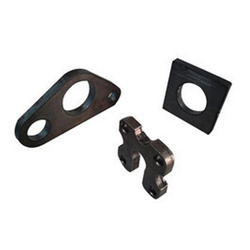 Some of the service features include capability to handle cutting thickness of 0.5-25mm; expertise in handling of different metals like carbon steel, cold roll steel, hot roll steel and others; choice of offering custom developed OEM solutions. Above Rate are for 6 MM* Thickness but Actual Cost depend on Volume Of Quantities and Drawing of Component. 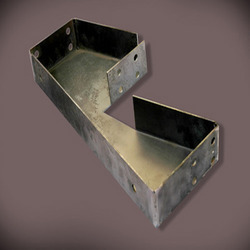 We offers Mild Steel Laser Cutting Services to all our customers. 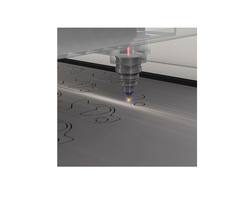 These Laser Cutting services are rendered under the strict supervision of experts, in accordance with the norms and guidelines already laid by the industry. With an aim to render qualitative services, our professionals use modern technology, tools and high grade material procured from the authentic vendors of the market. 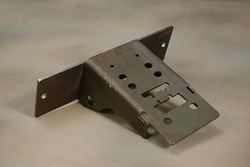 And CNC Bending Machineries and Power Presses JOB WORK and With Material. We Catering Many companies in the field of Automobile, Textile machineries, Switch Gears, Electrical, Elevators Mfr. Interior Architecture, Pharmaceutical Machineries, Kitchen Equipments , Machinery Mfrs. and For All Engineering Industrial Needs company. Our Components exports to countries like USA, UK, Germany, Israel, Portugal. Our Laser Cutting-Bending software are qualified to handle any complicated shape with less process time and high accuracy with zero tooling cost with prompt services in low/high (Bulk) Quantities Supply. We Look Forward to Business association With You for Long term. We Offer ECONOMICAL Rate In Volume Business Tie Up. 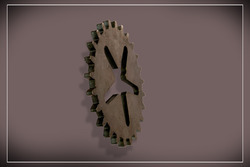 Leveraging on our rich industry experience, we are offering Laser Cutting Services. We have engineers and experts who have in-depth knowledge in this field to perform such services. These services are carried out using advanced technology & advanced equipment and are completed within a given time period. We are highly acclaimed for providing these services at affordable prices. 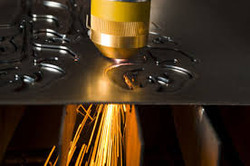 We are reckoned as major entity engaged in offering next generation MS Laser Cutting Services. 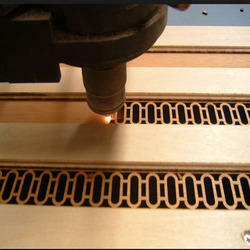 A vast number of clients from diverse industries attain our offered laser cutting services, which are ideal for prototyping with no tooling cost. The offered services are rendered by next generation CNC laser cutting machine, which efficiently cuts mild steel sheets with up to 12 mm thickness. Further, these industry compliant services are rendered by a group of technology experts, who make sure to estimate the lowest price for volume of quantities and drawing of components. We have gained huge success in rendering high in demand MS Sheet Cutting Job Works. Our state of art infrastructural set up is fully equipped with next generation CNC laser cutting machinery, which enables us to perform the cutting job work of mild steel sheets with up to 12 mm thickness. The offered services are rendered by trained professionals who have in-depth knowledge and experience of providing proficient services within the agreed time frame. Further, our prestigious clients can avail our services for laser cutting of varied materials at the lowest price. 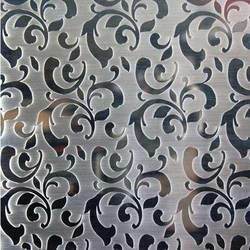 Our technological adeptness has made us the pioneers of best quality Metal Laser Cutting Service. We have developed a well integrated CNC infrastructure to cater the engineering and industrial needs of varied industries such as automobile, textile machineries, switch gears, electrical, elevators, interior architecture and pharmaceutical machineries. Our offered services include precise cutting of stainless steel, brass, copper, aluminum mild steel, carbon steel, galvanize steel with varied thickness specifications. Further, our services are rendered under strict quality supervision and can be availed with assurance of economical price. 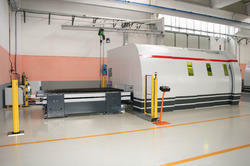 We are counted as consistent firm actively involved in rendering modern day Sheet Metal Laser Cutting. 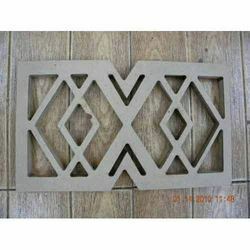 Our offered laser cutting services are backed with the most advanced CNC based techniques that offered higher accuracy and high tolerance rates to sheet metal components. The offered services are attained by varied industries for making precision engineering components. Further, we are offering advanced quality laser cutting services for a variety of materials including mild steel, sheet metal, copper, brass and aluminum, which can be availed at a nominal price. Pharmaceutical Machineries, Kitchen Equipments, Machinery Mfrs. and For All Engineering Industrial Needs company. Our Components exports to countries like USA, UK, Germany, Israel, Portugal.